Usually MoYu hits it out of the park making a cube that is way above the rest. 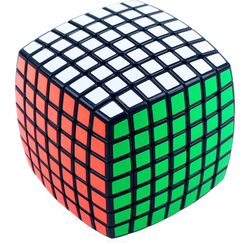 The Aofu seems to be a mix between the Shengshou and V-Cube. It has the speed that you get out of a broken in Shengshou, but the popping that you get from a V-Cube 7. Hopefully this will be fixed in the next iteration of the 7x7 by Moyu, but with popping being the most frustrating thing a cube could do I could not use this one for long.